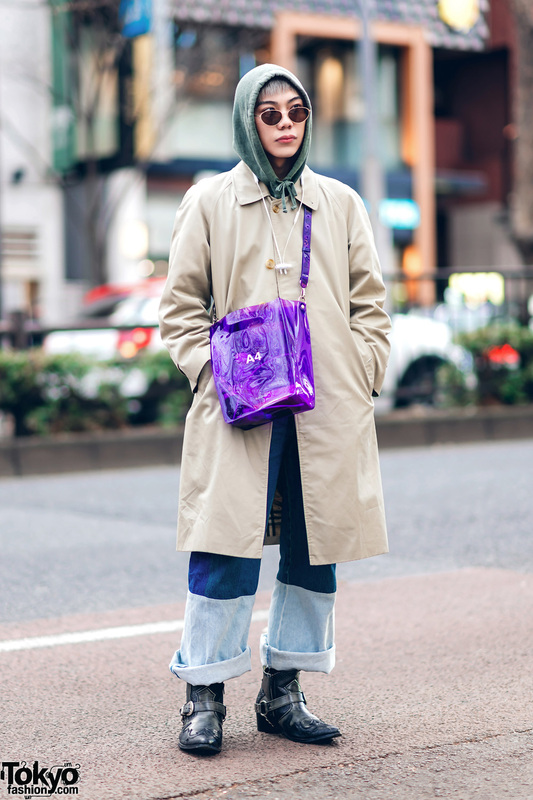 Japanese beauty school student dressed in a tan coat, hoodie, two-tone cuffed pants and crocodile leather cowboy boots in Harajuku. 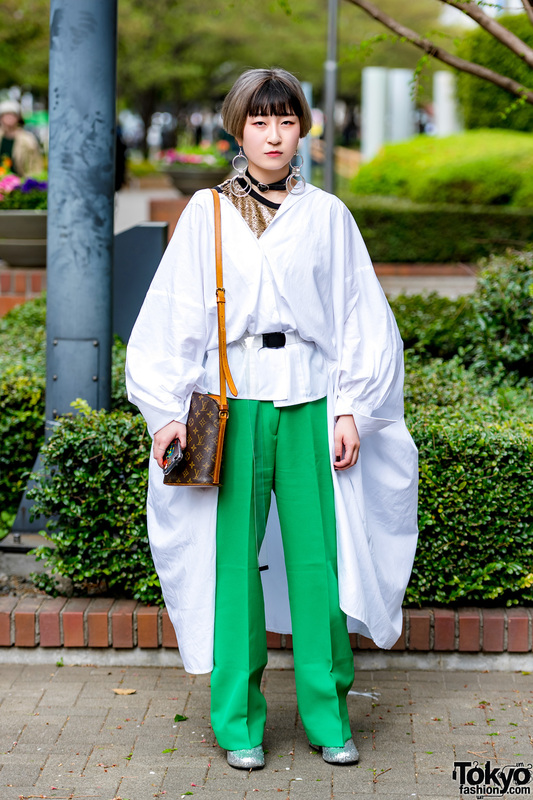 Japanese student showcasing vintage street style while out and about in Harajuku. 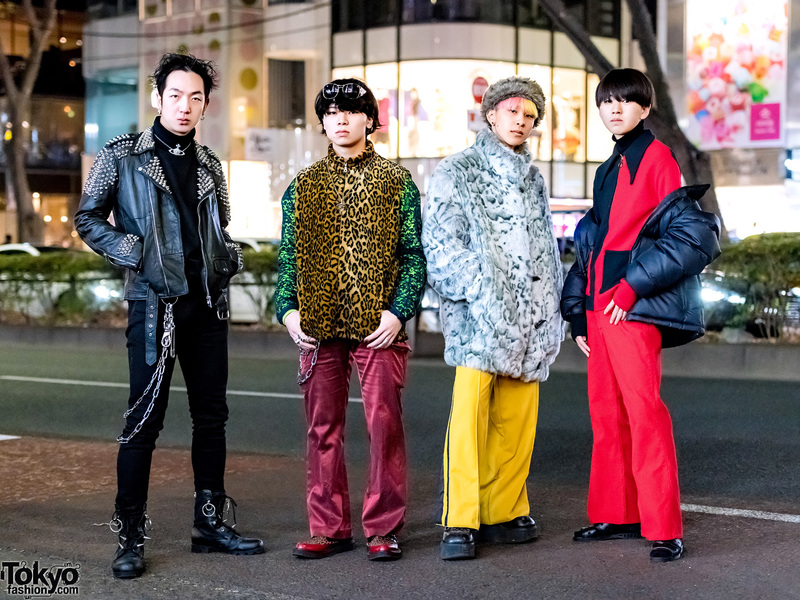 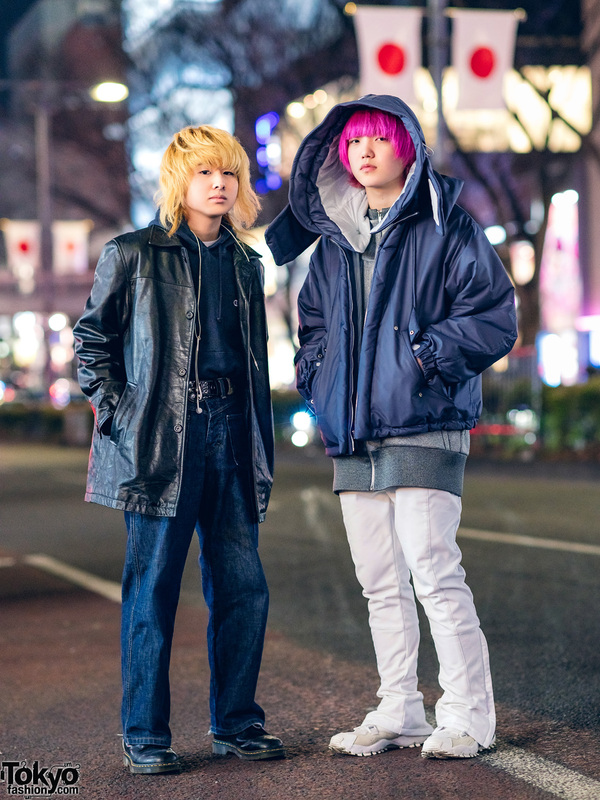 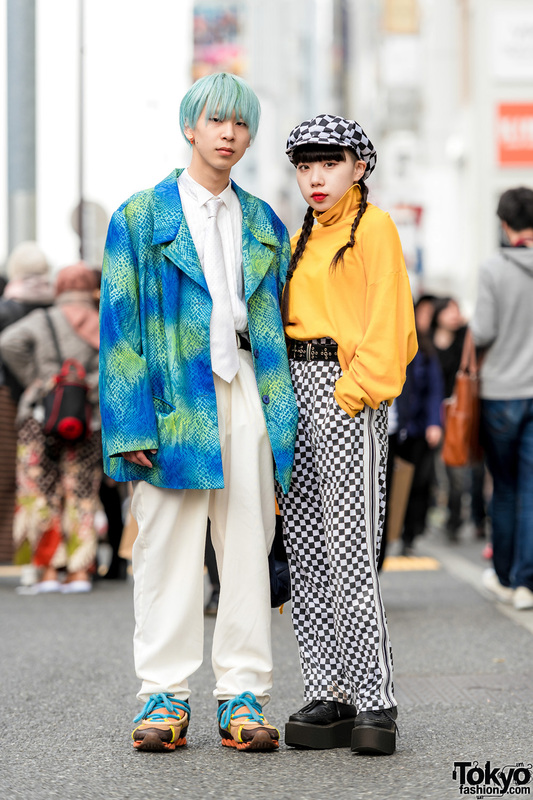 Harajuku duo in stylish ensembles with aqua snakeskin blazer, pleated shirt & white pants, turtleneck sweater, checkered pants and creepers. 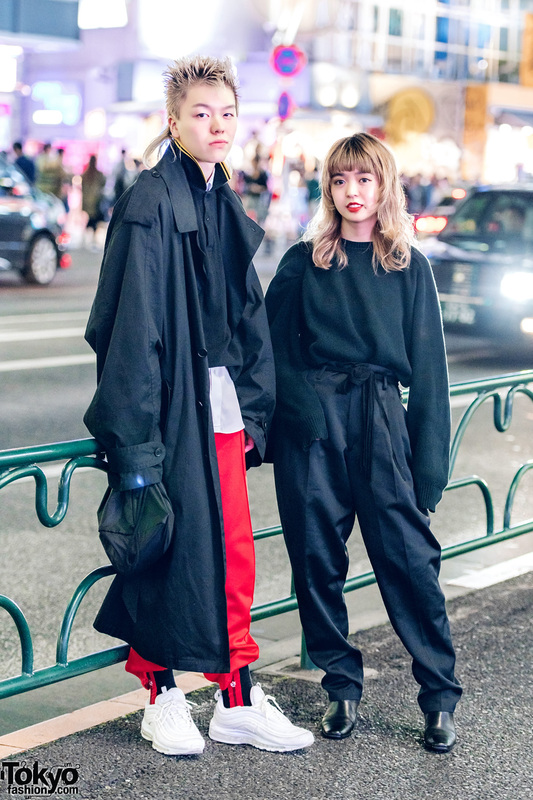 Harajuku teenage girls wearing cute winter fashion styles while out and about in the Harajuku neighborhood. 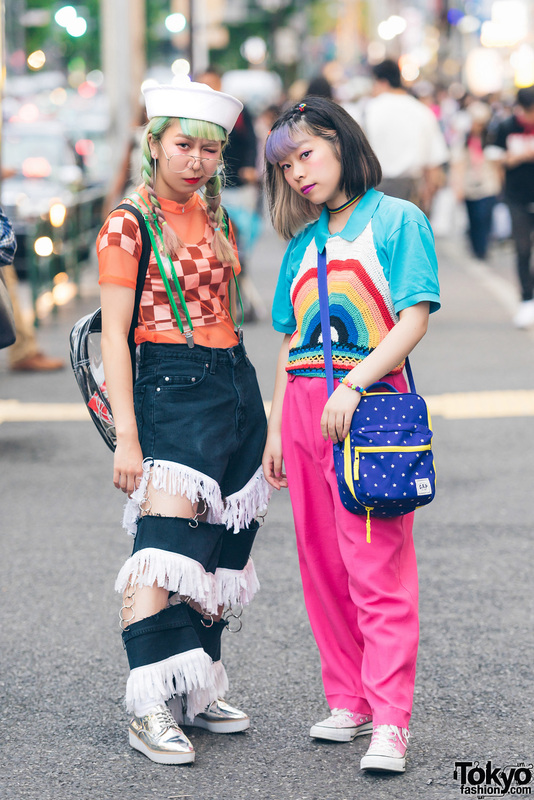 Harajuku girls in colorful fashion w/ see through shirt over cropped top, ruffle pants & metallic sneakers, rainbow crochet top over collar shirt, pink pants & sneakers, alien clear backpack & messenger bag.